ALERT's recent blog on the Orwellian world of the Australian Environment Foundation -- which should really be called the Australian ANTI-Environment Foundation -- has provoked a great deal of interest internationally. Why? The AEF, it turns out, is far from the only environmental wolf in sheep's clothing. In an article that's just appeared in The Ecologist, ALERT director Bill Laurance highlights the devious activities and hidden agendas of other groups with eco-sounding names. The USA and UK are hotspots for such front groups, many of which are funded by major oil, chemical, and other industrial firms. These groups often specialize in fighting environmental, global warming, and consumer-protection initiatives while posing as concerned citizens or independent scientists. Mega-corporation Dow Chemical, for instance, has funded ten different front groups, including the innocuous-sounding 'American Council on Science and Health' and the 'Council for Solid Waste Solutions'. The Information Council on the Environment, which was actually a front group for the coal industry, was founded to "reposition global warming as theory (not fact)", according to its internal documents. Its media strategy included targeting "older, less-educated males" and using scientists as spokespeople to take advantage of their high public credibility. It's worth taking a moment to read and share the article. 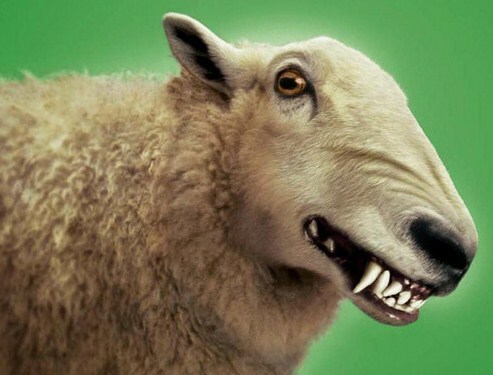 Environmental sheep-wolves are dangerous -- but they only thrive in dark places.